The number of chemical processing professionals that received a salary increase within the past 12 months rose to 58% (907) — a 2% rise from 2011 results. (Figure 1). Since 2010, when Chemical Processing first reported a drop in wages, salaries have been slowly on the rise. The average salary of full-time respondents edged up from $101,553 in 2011 to $103,340 for 2012. (Responses from those appearing to be unemployed, retired or working part-time were excluded from the salary calculation.) Despite the steady climb, numbers still haven't reached the level seen in 2009, when the average salary stood at $107,804. While salaries rose, the average pay raise shifted downward from 4.34% last year to 4.15%. This reflects fewer pay raises of 10% or higher. Last year, 7.44% of respondents received pay increases exceeding 10%. In 2011, that number fell to 6.3%. Most salary adjustments fall between 2.5% and 5%, according to 47% (735) of participants. "The difference in merit raises of poor performers and outstanding performers is only one percent. If you 'walk on water' you receive 3%. If you are marginal you receive 2%," comments one reader. Despite the lower pay raise average, the average bonus increased to $6,310 compared to $6,102 in 2011. 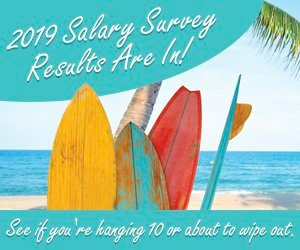 Echoing last year's responses, most readers (59%) believe they're adequately compensated, and those that aren't happy with their current salaries believe that will only change when they find another job, versus receiving a promotion. "In the past four years, our company has given raises once, our 401K matching was cut 40%, other retirement benefits have been eliminated, and the annual employee cost for healthcare has risen approximately $3,000. As the economy starts to improve, I expect to see colleagues looking around for other employment opportunities if our company does not restore at least some of its compensation cuts," warns one participant. "I'm in a large company under cost controls. Compensation is set to be as low as possible without actually losing people to the competition. The only way to significantly increase it is to change companies, which I have not done. It's like the proverbial frog in water heating on the stove," cautions another. On balance, staffing levels have gone up compared to 12 months ago. Almost 29% of respondents say levels have increased somewhat and nearly 5% note significant increases, versus 16% who cite somewhat smaller levels and almost 5% who report significant reductions. Nearly half, 46% (711), say staff levels haven't changed in the last 12 months. Perhaps reflecting an uptick, only 1.3% of respondents say they are unemployed, while 2.4% work part-time. Only 8% (124) of respondents employed full time work as contractors compared to the 92% (1419) that work directly for an employer. Most contract positions (43%) have no fixed term. Nearly 30% indicate their work would last over one year and 21% said their contracts ran between six months and a year. Job security concerns remain evenly split (Figure 2). In fact, one reader noted the "The biggest problem is the low job security, which in contract R&D is subject to government funding and its ups and downs," while another argued that the industry is "demanding with little recognition, but job security is above average." Nearly 49% feel there's only a very slight chance they'd be laid off or fired within the next two years, and about 27% believe there's a moderate chance their job is in jeopardy (Figure 3). These results echo past surveys. As in previous years, the top frustration for most respondents (40% or 577) is the lack of recognition (Figure 4). Despite long work hours and other frustrations, the majority of respondents — 41% (645) call themselves satisfied and nearly 12% (186) are extremely satisfied (Figure 5) with their jobs. About 36% (556) rate their job satisfaction as just "okay." Only 9% (134) report a low level of job satisfaction and 2% (35) said they're not at all content. As in the previous year, the challenge and stimulation of the work lead to a high degree of satisfaction, according to 71% (1,103) of respondents (Figure 6). Salary and benefits follows at 57% (891). Other factors readers say contribute to a highly satisfying job include: colleagues, 45% (692); the work environment, 37% (579); and making products that help people, 32% (498). Many companies have been working to preserve their knowledge base as more engineers retire (see, "Retirement: Companies Keep Know-how in Place"). It's a good thing too, as the number of seasoned workers continues to rise versus younger chemical engineers entering the work force. Survey results show seniority is prevalent across the board — a combined 60% of respondents have worked in the field 21 years or more, 53% of those surveyed are more than 50 years old, and the largest number of respondents (345) noted salaries of $125,000+, indicating senior-level positions and years of experience. Like previous years, respondents remain split on the public's negative opinion of the industry (Figure 7). Nearly 38% are somewhat concerned about public opinion but another 38% remain unconcerned. Only 12% (188) are very concerned about public opinion and 11% (172) say they aren't at all concerned. Congratulations to our iPod Touch Winner! Mausa Simpson, process engineer at O'Neal Inc, Greenville, SC, was randomly selected as the winner of an 8-GB iPod Touch offered by Chemical Processing as an incentive for participating in the survey. In the U.K., more students are aiming to get degrees in the discipline.